Welcome to Smyrna Gutter Pros and our page here at Gutters Plus of Smyrna Ga! Our highly skilled team of gutter cleaning, repair and installation experts can handle any gutter job imaginable. So, if you find yourself down in the gutter, just give us a call and we will help you get the situation resolved for a fair price! We can get on a routine schedule with you and your residential home or business with quarterly or semi annual gutter cleaning to maintain an efficient system for the rain water to run off properly. Additionally if you have any repair needs on the actual gutters, or downspouts, that is right up our alley as well! Any job with the gutters we will happily take a look at and get it back working properly. Whether it is a clogged downspout, routine cleaning, repairing, or replacing and installing a brand new gutter system, we are your team here in metro Atlanta and the local Smyrna area for local gutter pros! Don't be silly and call the competitors here in Smyrna who are fly by night operations, we have been around for years, and look forward to serving you! 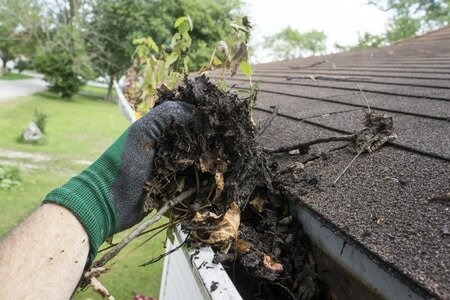 ​Don't put off getting the gutters cleaned out or repaired when it is really a low cost to get right. We can schedule a time that is good for you to come out and get everything back working and flowing properly at your home or business! Call us for a fast quote on gutter cleaning here in Smyrna and the surrounding area so that you can rest assured that everything is working correctly. Go ahead and fill out the form on this page and we will be notified immediately by email of what you need! ​What service do you need? Anytime we come out and do routine gutter cleaning or small repairs, we can visually inspect your roof while we are up there. You don't want to be getting on the ladder and risking your health in the process, we do this everyday and look forward to helping you and going above and beyond the call of duty. It is always a good idea to take a look at your roof once per year just to make sure all is in tact, and that is what we can do while out visiting your home for a cleaning or repair. 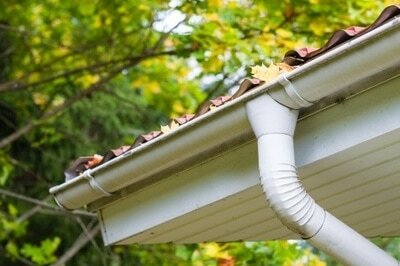 We love gutters, and would love the opportunity to work with you and your family soon, call today! We want this to be a no brainer for you to work with us, call us today. Our 100% satisfaction guarantee will take all the risk out of the transaction because we want you to be a customer for life here in Smyrna Georgia! Our company was founded on expert, quality service at a fair price, and that is what has allowed us to grow into one of the largest Gutter cleaning, Repair, and Installation companies in Metro Atlanta and Smyrna area! 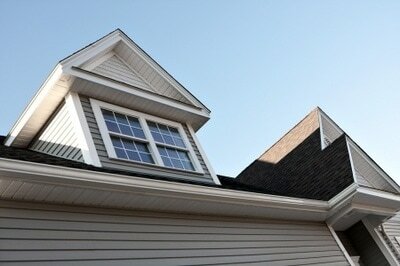 Get your Gutter Tech today! Call us today at our number on this page to get set up for your gutter cleaning, repair and installation needs here in Smyrna Georgia. Our family owned and operated company takes pride in taking care of our customers with their residential homes and businesses. Not only are we very affordable, we have technicians on standby to meet your needs as far as scheduling goes since we have that flexibility for you. If needed, we can get on a maintenance plan for quarterly or semi annual visits to ensure that everything with your gutter system continues to operate smoothly and properly. This will make the structure , soffit/facia, siding, and footing of your home or building last for a great deal longer. By knowing who to call to take care of your gutter needs, you will be in great hands with Gutters Plus since we have been in business for decades. One thing is for sure, you won't find a more trustworthy gutter cleaning, installation and repair company around here in Metro Atlanta! Besides we will shoot you straight, and there are no high pressure sales tactics to get your gutters repaired or replaced. Our pricing on gutter cleaning is straight forward based on the size of the home, whether it is 1 story or 2 story, and if it already has gutter guards or not.